Compact, bat-eared, snub-nosed and has a muscular body, the Frenchy or the French bulldog is one of the topmost choices for many families as the perfect pet for them. They can be very extremely playful and are also great watchdogs. But, do you also know that they are also revered for their shiny coats? As a matter of fact, French bulldogs come in a variety of colors, some of which are strictly prescribed by different kennel clubs and included in their stringent standards for show dogs. In this article, we will discuss the different guidelines that the American Kennel Club has set forth as the standard for French bulldogs that are allowed to compete as show dogs. If your French Bulldog doesn’t meet the standards this doesn’t mean that they are of lower standards, they are still considered as purebreds, they just can’t compete in show dog competitions. They are also still able to show the many characteristics that make the French bulldog a lovable companion. Although there are different clubs and organizations all over, most of them would agree on the most common standards that are required for the coat of a French Bulldog. These most common coat color standards include brindle and white, and color combinations of all-brindle. Plus, the colors white, fawn, and colors that are not considered disqualified by the rules set by a particular competition. Most colors of French bulldog coats that clubs, organizations, and competitions disqualify include a coat that is solid black, without any white or brindle marks, black and tan, mouse or liver color, black with white markings or vice versa. If your French bulldog’s cot has these color combination, it can still be a good house pet, but they can’t compete in contests. Aside from the color of the coat, many competitions also set standards for the color of the nose and the eyes of the French bulldog. Commonly, a show French Bulldog should have dark colored eyes when the canine is looking forward, there should not be any white color in the eyes. 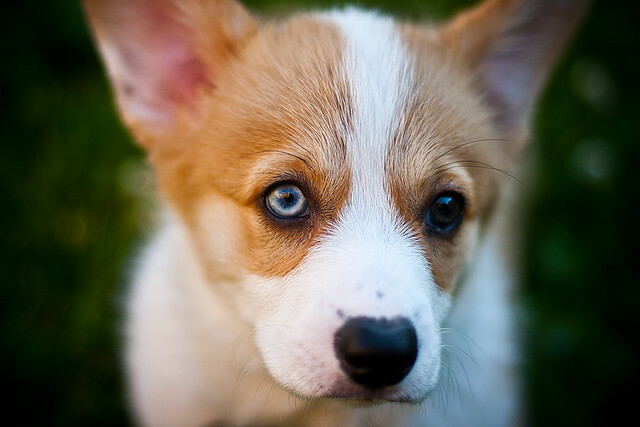 But, if the dog is light colored, the eyes and nose are accepted if they have a lighter shade. But, a black nose is commonly preferred more by judges, especially the strict ones. Consulting breeders from your area will help you get the blue ribbon all the time. So if you are planning to buy a French bulldog, you must determine whether you plan to enter them in any contests or just keep them as household pets. The former would cost more though. But remember, it’s not the color of their cots, eyes, or nose. French bulldogs are popular because they are very loyal, are good companions, playful to the kids, and generally pleasant. Their coats would not change that. Check with your local breeder about the available Frenchies in your area. And it is also important to remember that French Bulldogs need so much attention, so be prepared before owning one. Many dog lovers have found that French bulldogs look very lovable and find it hard to resist them. This is the reason why a lot of them would like to own one, but they don’t understand that owning one requires a different approach and care from other dogs. Aside from the unusual attention that they demand, French bulldogs should also be kept in a cooler temperature. This canine breed has unusual physical characteristics which don’t allow them to adapt well to warmer climates. They are also not outdoor types of dogs. While the unique shape of the French bulldogs head and its shortened nose makes it uniquely appealing, it also is one of the cause why they can suffer difficulty in breathing, especially in warmer temperatures. Other breeds also experience this condition and it’s also known in the medical community as Brachycephalic Syndrome. The same short snub nose that makes the French bulldog look irresistible is the same aspect that causes them to suffer from this condition. Because of their diminutive nose, the French bulldog is unable to have maximized air intake, which they need to dispel heat. Dogs don’t have sweat glands all over their body like humans do. So they pant to dispel heat from their body, with their nose, they aren’t able to do so effectively, especially in warmer climates. So, if this particular breed is kept at a very warm climate and heat is no expelled from their body, this condition can result in the death of the dog. If you live in a warm climate area and really want to own a French bulldog, then there are certain conditions that you have to consider first. Remember that the outdoors will be very hot, especially in the summertime, plus, French bulldogs are not really outdoor dogs, they are bred to be kept inside the home. So, monitor their outdoor activities, don’t allow them to stay outside in a prolonged period of time. If you plan to play with your dog in your backyard, make sure that there is adequate shade for you to play in, Also, make sure that fresh cool water is accessible at all times. Overheating can result in the death of your beloved pooch. Make sure to check the humidity periodically, if the levels are high, bring your dog indoors. Keep in mind that the higher the humidity and heat, the less time the dog should spend outside, lessen their exercise and be walking. Unlike other dogs, French bulldogs should be accompanied when they venture outside the home, whether to play, exercise or to do their business. If you notice that your dog is having a hard time breathing, take him indoors immediately to cool off. If your home is also warm, make sure that an air-conditioned area is ready for him. To help your pet overcome overheating, make sure to rinse them off in cool water and place your pooch in wet towels. Make sure not to use ice cold water as it may cause the dog to go under shock. This may sound too much work, but French bulldogs are definitely worth it. There is nothing quite like having a dog at your home. But sometimes, a dog can be a bit of a nuisance too. So if you’re not ready to have a dog just yet, then put your plans off owning one off first. Some people would rather not have a dog just yet even though they are ready for it because they don’t have enough space to spare, but with French bulldogs, with their small stature, even a small home or condo would be sufficient for them. But aside from providing them with enough space, another consideration and responsibility of owning a dog are providing them with ample nutrients through the food they eat. Like babies, homegrown dogs need to be provided with their food, they tend to lose their hunting instincts and needs to be taken care of. So if you want a healthy dog that would be able to live a long and quality filled life, make sure that you will be able to provide it with top quality food. And remember, quality food doesn’t always mean its expensive, you can be able to provide good food for your French bulldog without having to break your piggy bank. For French bulldog puppies, it is always best to provide them with dry dog food. They don’t only dispel the nutrients better, but they are also good for the developing teeth of your puppy. And like humans, French bulldog puppies can be picky at times, so it’s also a matter of trial and error which would be able to help you find which dog food your Frenchie will actually eat. No matter how nutritious the dog food is, if your dog won’t eat it, then it’s useless. When you are picking out dog food, read first the labels, there should not be excessive fillers. The ingredients should always contain protein as French bulldogs have muscular bodies that need protein to maintain its healthy body. If you’re able to, try to mix in your dog’s diet some homemade food, this will ensure that there are no chemicals are included in their dinner. A raw diet containing vegetables would also be good for them. This will help prevent the many different health conditions that plague this particular breed. If you can afford it, try to get the premium brands of dog food. There are fewer fillers in them, but, if you want to save some money, find a dog food that you can afford and compare their labels. See if there is not much of a difference. And when transferring one dog food to another, make sure that you do it gradually. Try to mix in the new with the old bit by bit. This will help your dog to get accustomed to the new taste. You can try to ask your breeder as well to help you out mixing homemade dog food. They have the proper knowledge in mixing dog food as this is more cost-effective than purchasing canned dog food, and healthier too. So, many families would just resort to leaving their pets behind with their extended family or friends or just hire a pet sitter. But what if you really want to take your French bulldog with you? What are your options? What should you do to enable you to bring your French bulldog with you and still fully enjoy your family vacation? Here are some tips and reminders which you can take note of, to help you get that “true” family vacation that you have always wanted. Tip 1 – Check out the places where dogs are normally allowed in most of the places of interest. You should also look for a place where you will be able to comfortably stay which allows pet dogs inside. You can ask your travel agent or scour the internet for recommendations on the places of interest which answers your vacation needs for pet-friendly places. Make sure that these places have all the facilities that can help your French bulldog enjoy itself and at the same time have health care services as well.There are now many travel agents and websites that offer vacation packages that allows for a pet to be brought along. Choose along with your family so that everyone will know what is ahead for them. This way, you are not just choosing a place for your dog, but for the whole family. Tip 3 – Have your dog get a thorough checkup by his vet before leaving on your dream vacation. This will eliminate the risks of him having any health concern while on vacation which can ruin the trip. Take any medication with you that your vet may recommend. Remember to get the ok signal from your vet first.Tip 4 – Remember to pack everything that your dog may need, most importantly its collar, with all the contact details on the tag. Also remember to bring his food and anything that can make the journey comfortable for him. Also, make sure to bring cleaning materials as the dog may vomit or emit waste. Numerous dog breeds are available in the modern day. People love having dogs as pets and companions. Old English Bulldogs refers to a breed of dog that once existed but is no extinct. It was at its prime during the 1800s. Today, there is the Olde English Bulldogge, which has the most similarities to the extinct purebred bulldog. These animals are available through breeders, pet stores and shelters around the globe, including in Tulsa, OK. The Old English Bulldog was known for having a broad and muscular, though compact, body. Their average height was around 15 inches and most weight approximately 45 pounds. A notable characteristic of this dog was that its lower jaw protruded in front of the upper jaw, which gave it a strong grip. Historians believe that this breed was derived from war dogs of ancient times, such as old Alaunt or Mastiff breeds. Others are unsure of the origins of this breed. Breeders worldwide are attempting to recreate this breed that is extinct. Many have become successful, although it is important to note that no recreation can be exactly like the original because the genetics of that breed is extinct. Olde English Bulldogge, also referred to as Leavitt Bulldog, is the closest available to the original bulldog. These are more athletic and lighter. The purebred dog was more aggressive, which contrasts the friendly temperament of this modern bull breed. 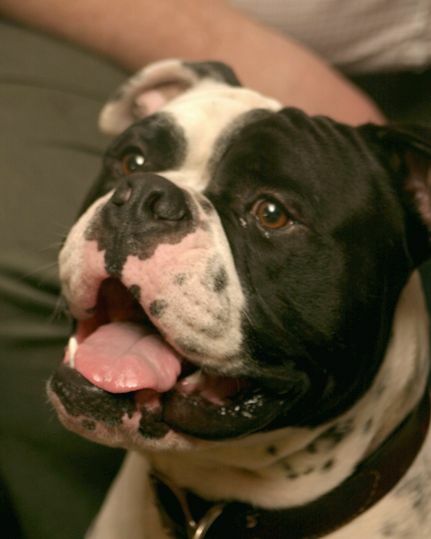 Olde English Bulldogge, OEB, is considered part of a new American dog breed. David Leavitt is credited with spending the 1970s creating a healthier form of this bulldog. This is one of the closest recreations to the dog that was popular in the 1800s in England and is now extinct. To develop this breed, Leavitt crossed the English Bulldogs with American Bulldogs, Pit Bulls, and Bullmastiffs. This resulted in the Bulldogge, an athletic breed with a similar appearance to Bulldogs of the 1800s. Still, the breed has minor differences. Leavitt changed the name to Leavitt Bulldog, but many still refer to it as OEB. Furthermore, this is the name adopted by the United Kennel Club in 2014. Bulldogges are medium in size and have a muscular frame. They are known for being strong, though agile and fluid. These animals are balanced and proportionate by most standards, with their large head matching their build and prominent shoulders. 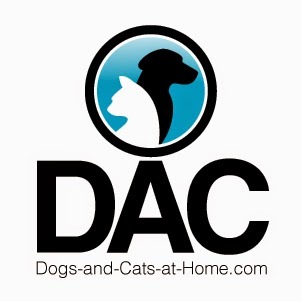 They make great companions for dog lovers. These dogs also have the agility, temperament and drive for performing different kinds of work. Most are confident, alert and friendly animals. This animal is also known for being healthy. In fact, it is recognized as one of the healthiest modern bulldog breeds and is not believed to suffer from the same ailments as the traditional purebred versions. Still, every animal is different. People interested should do research to become well-informed about this breed. Dog-baiting animals have been done for thousands of years, despite being outlawed. Although it is less common in the modern day, there are still people who abuse bulldog breeds by using them for dog fighting purposes. After all, this is the reason purebred Bulldogs were originally created. The extinct bull breeds: Old English Bulldog, Toy Bulldog, and Bullenbeisser. Recognized breeds that are still around: OEB, Alano Espanol, French Bulldog, Boxer, Bulldog and American Bulldog. Read more about The Basics On Old English Bulldogs. Caring for a French Bulldog, or “Frenchie” as they have been nicknamed, can be a fun and rewarding experience as long as you take the time, and put a little effort into it. These dogs are great companions, are very loving and loyal, and completely rely upon you, as their owner, to take care of them. The first step in caring for your French Bulldog is to get a collar for them, with tags that include your name and phone number. License them and have them registered with the local Human Society. Everyday animals get lost and end up in the local pound. If your dog does happen to escape, a tag that leads back to the owner is almost a guarantee that the family will be reunited with their pet within a short period of time. If you are not planning on breeding your dog, then have them spayed or neutered when they reach the appropriate age. The world is being flooded with abandoned dogs, even French Bulldogs, so take the precaution of fixing your animal so that no unwanted surprises may arise in the future. People from all over the world claim that dogs such as these should never be spayed or neutered because of their value, but if you are purchasing the animal as a pet and have no plans to have puppies, then take them to the vet and have the deed done. Feed your puppy with high quality dog food. Avoid the cheap generic brands because they have additives in them, such as ground up feathers that can harm the health of your dog. Feed them one full bowl a day, or two small bowls per day. It is important to not over feed your puppy, which will make them overweight and unhealthy. Exercise your puppy on a regular basis. The healthier your bulldog is, the longer they will live, and the happier they will be. Set some time aside everyday to go for a walk in the park, or in the mountains, or even around the block a couple of times. The location of the walk is not near as important as actually doing the walk. The personal hygiene of your puppy is also a mandatory aspect of caring for your Frenchie. 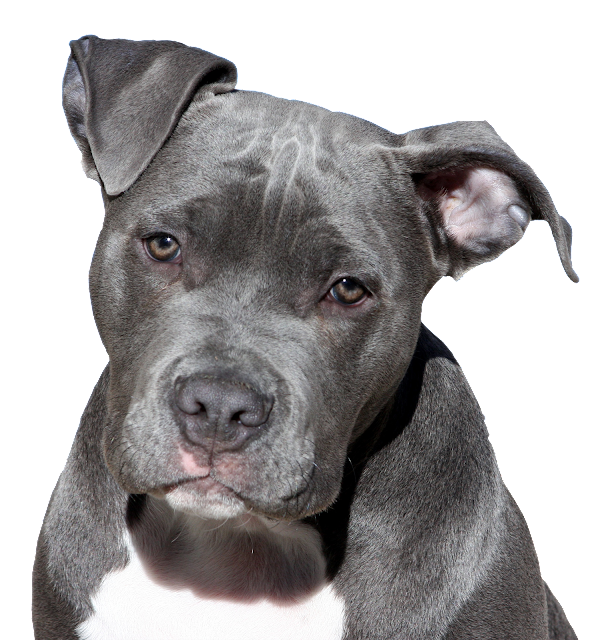 Since this breed drools throughout the day, use a warm wash cloth and clean the entire face and neck area, making sure to get into all of the folds and creases. Bathe them in warm water on a regular basis, using only shampoo designed for dogs. Once every couple of months, have the teeth cleaned, and make regular veterinary visits to ensure that their health, and their shots, are up to date and at a safe level. Caring for your French Bulldog puppy may seem to be a time consuming venture, but it is well worth it. Having a healthy, happy, lovable dog at your side is one of the greatest pleasures of life. Searching for french bulldog? Then don’t look further. Visit Puppymatch4you.com, you will find the best French Bulldog puppies for sale by French Bulldog breeders online. French bull dogs are a great addition to any home. They have a stocky "well built" look to them, yet only weigh at the most, 30 pounds. They are bull terrier descendants and are a breed that requires a lot of attention, while not being particularly an athletic animal that needs loads of exercise. 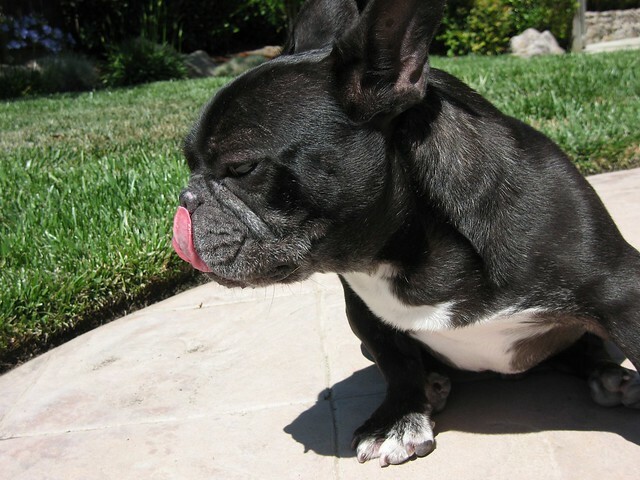 French bull dogs can be easily spotted just by looking at their "bat-like" ears; which are large and wide on the bottom and decrease in size as they round at the top. 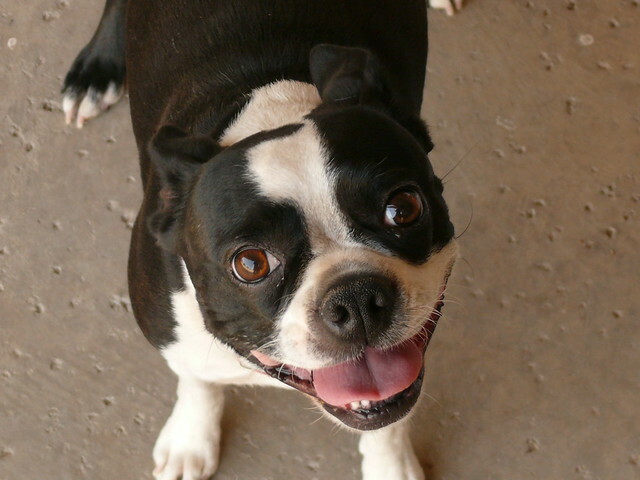 A portrait of a black-and-white French Bulldog. 1. They absolutely love attention and playing with people and other dogs. Owners need to be aware that the french bull is deceptively strong for it's size, so caution guests and children to be gentle with them (the rougher you get with any dog, the rougher they get). 2. The proportions of their body and the overall build of the animal make it difficult to regulate body temperature. This means you need to keep them close to shade and water during hot, humid days or they will be in danger of overheating. 3. French bull dogs are known for being people. For that reason, don't buy one and expect them to lie in the corner. They will constantly want to be by your side and want your acceptance. People who want a great friend will love them, whereas there are other breeds who are more independent for owners who have less time for their dogs. 4. If you will have another male with your french bull, consider neutering them, as two males of any breed will tend to fight. Males and females won't often fight, but spaying or neutering is always advisable to avoid unwanted "excitement". 5. The french bull is one of the healthiest bull terrier mixes, but they do require regular visits to the veterinarian to keep abreast of any health problems. They need semi-regular tests for thyroid disease and Von Willebrand's disease. This is no reason to avoid these wonderful dogs, since all dogs have certain health issues they can be predisposed to, but with proper care these conditions are rare and easily corrected with treatment. It’s easy to see why many people, even celebrities today, have embraced the French bulldog breed as their companion or pet. They have the same character as bulldogs provide but they are smaller and more lovable. While some may find the American Bulldog’s frame and look to be scary, its miniaturized version, the French bulldog doesn’t give off the same vibe. And another difference that this Frenchie has over its American counterpart is that it is more at home inside the house. In fact, the average size of a Frenchie in its adulthood would be only about 2 feet up to its highest point. There are even types of French bulldog that are somewhat smaller. They are even lightweight as compared to other dogs, even with their stocky body, they can weigh only about 19 to 22 pounds, the bigger class weight can weigh about 22 to 28 pounds. And like in any other purchases, you should weigh first the Pros and Cons of a product, or in this case, the dog’s breed, and see if the advantages would be much better in your situation than the disadvantages. Here are some of the pros and cons that have been noted by most French bulldog owners about their beloved pet. But remember, dogs, like humans, are individuals too and may tend to be different than the others. So what may be a a pro to one French bulldog, may not be present in another, and vice versa. French bulldogs are generally very intelligent and can be taught easily. They can be very good watchdogs when trained properly. They are also not excessive barker. They bark only when they have something to tell you and that includes having an intruder in your home. French bulldogs also have a good temper and are well behaved. They also like to hunt mice so that means you won’t need a cat. Most of all, French bulldogs are great companion dogs. They are very lovable and cuddly and loves to play. Because of their small stature, they don’t require too much space or a big back or front yard to play or exercise. The French bulldog can be hard headed and stubborn at times. When not trained well, a French bulldog cannot be relied on as a guard dog. Also, French bulldogs can become gassy, easily get tired and overheated, snores when asleep, and has the tendency to drool. Plus, because of their body structure and bloodline, French bulldogs are known to be poor in swimming, get problems with breathing, and have trouble producing. They are also known for having a number of health concerns. That’s why they can be quite costly and would tend to require more than normal visitations to a vet. Thos are just a number of examples that one would find as advantages and disadvantages with a French bulldog. It’s now up to you if you are able to cope with the cons and enjoy the pros of owning a French bulldog. The French Bulldog, no matter how odd it may seem to some people, has been the choice for many celebrities. Their stocky and muscular, yet diminutive frame has been seen strolling with high profile people not only because of their peculiar looks, yet also because of their demeanor. Martha Stewart, Reese Witherspoon, musician Brandon Boyd, and Nat and Alex Wolff, are just some of the celebrities which own a French bulldog. Many have attested to their being the perfect pet, but to maintain their good looks and to ensure their health, you have to know how to properly groom your French bulldog. Don’t worry, with their small bodies, French bulldogs won’t need much of your time for grooming. In fact, you only have to give them full grooming every two months or so. But, you still have to see to it that they are kept clean all the time. Prepare the things you need first before getting your French bulldog, this will ensure that once you get started, you will be able to continue without having to keep on standing up to look for the things you need. Basically, what you will need is a tub filled with warm water, not hot, but about room temperature, cold water may shock the dog. You will also need some scissors, special dog shampoo and conditioner, a dog brush and a rubber brush, some baby wipes, and a towel. Before bathing, decide whether you want to keep the whiskers on your French bulldog. Some owners prefer it off, while some likes it on, it’s your preference. Then, using the baby wipes, clean out the folds on the face of your dog. The folds may contain some grime and dirt. You can then bathe your pet with the dog shampoo. You may use a rubber brush while bathing the dog, this will help spread the shampoo and also remove dead hair from the body. After bathing, dry the dog with a towel rubbing vigorously yet gently. The continuous rubbing will also help in removing more dead hair. This is not only healthy for your dog, but also, it will help keep shedding minimal, this means you won’t get much dog hair on your furniture. Its not necessary to use a dryer at this stage. A dog brush will then be used after the towel to smoothen and flatten the coat of your French bulldog. To help absorb the moisture left after the bath, apply some baby powder on the facial folds of your dog. This will eliminate infections and itchiness plus odor. Then check the hair on your dog’s ears, excess hair can be trimmed to get a clean and even edge. To make the coat of your French bulldog even shinier, a coat conditioner can be applied. With a brush, you can spread a small amount all over its body and flatten the hair at the same time. Now you have a French bulldog ready for the silver screen! To some, a dog may just seem the same as the other one, they eat, they play, they sleep, and they leave a mess, could it get more complicated than that. Well, basically they do have the same needs, but there are still some distinct differences in every breed which can require some special attention. Sure they all need to exercise, but there are some differences as well. So if you own a French bulldog, or is planning to own one, then you need to know what this differences are to ensure that you will have a happy French bulldog and a healthy one at that. 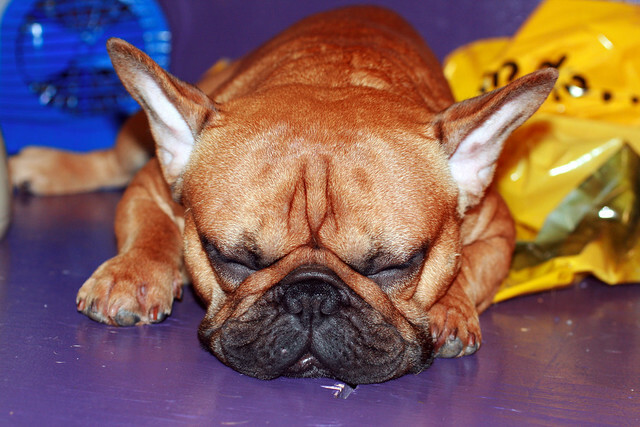 Cool area in their home or in their garden - French bulldogs find heat as their waterloo. Because of their oddly shaped head, French bulldogs find it difficult to dispel heat. They also have trouble breathing when it’s too warm and when they are tired. Make sure that if you live in an area with a warm climate, an air-conditioned room should be available for them. Also, your garden should have areas where shades are available where they can lunge around in not too warm days. Providing your pet with a good shelter makes him feel important and valued. Have water accessible – Water will help them dispel heat. French bulldogs tend to overheat so they need to rehydrate often. Even with just a small time spent exercising, they will soon become thirsty and panting, so have a water bowl ready inside and outside your home. Exercise your French bulldog – Unlike other dogs though, French bulldogs cannot be kept active for a prolonged period of time. They tire easily and needs short breaks from time to time. Walking and exercising is necessary for strength development of the dog, so dog owners usually do it twice a day. This also helps them to dispel waste outside your home. Plus, prevent your French bulldog from overheating when walking him by doing your exercises at dawn and at night time where the sun can’t bet down hard on your pet. Well balanced diet – Quality dog food should be the norm. A healthy diet will help keep your dog strong to ward off any health conditions. It will also keep your dog looking good with its coat shiny and vibrant. Respect your dog – treat it humanely and as part of the family. Provide it with the attention it needs and spend quality time with it. French bulldogs in particular need more human attention than other dogs. Try to spend also on dog products like chew toys and treats. A good collar will not only keep it nearby with a leash, but also help it find its way home if it gets lost.